Get a Humboldt County Traffic Ticket? You Can Beat It! Did You Get a Ticket in Humboldt County, California? You can fight Humboldt traffic tickets by getting them dismissed much easier than you may think. In Humboldt, California, drivers are allowed to contest a traffic ticket using a Trial by Written Declaration. This is best way to fight a traffic ticket without going to an Humboldt courthouse or hiring an expensive Humboldt traffic ticket lawyer. We have found this to be the best way to contest a California traffic ticket, period. This option is available to every driver who receives a traffic ticket in Humboldt, California. In fact, if you turn over your traffic ticket you will see that a Trial by Written Declaration is listed right on the back of your ticket as one way to fight it. This process has been around since 1978 to avoid having to pay traffic ticket fines. TicketBust has been helping California drivers prepare Trial by Written Declaration’s for over 14 years. In fact, tens of thousands of vehicle tickets in California have been contested using our system. We are the original traffic ticket fighter and the TicketBust system has been developed specifically to prepare all your documents properly based on how you answer a few questions. This way you can fight your ticket, knowing you have maximized your chances of having the court dismiss your Humboldt County traffic ticket. TicketBust service will prepare your full defense package for you, which includes your Trial by Written Declaration and all the defense documents required by Humboldt traffic court. Fill out the yellow form to fight your Humboldt traffic ticket now! Did you know that you aren’t allowed to pass the white limit line when you are stopped at an intersection? From our experience, this can be a common ticket issued in the county of Humboldt, so be on the lookout and stay behind that solid white line. If you find yourself having received a traffic ticket in Humboldt, give us a call or fill out our form to see how we can help! Humboldt County is located in Northwest California and bound by Del Norte County on the north, Mendocino County on the south, the Siskiyou and Trinity counties on the east, and the Pacific Ocean on the west. Long before the formation of the county in 1853, the area was inhabited by the Wiyot, Yurok, Hupa, Karuk, Chilula, Whilkut, and Eel River Athapaskan peoples. The first recorded entry of Humboldt Bay by non-natives was an 1806 visit from a Russian American Company sea otter hunting party. The area was not visited again until 1849 by Josiah Gregg’s party. 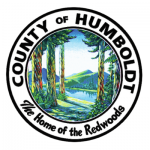 Humboldt County is named in honor of the great naturalist and world explorer, Alexander von Humboldt. The county spans a total of 4,052 square miles, roughly 80 percent of which are national forests and parks. The area contains a diversity of plant and animal species, most notably an extensive amount of redwood forests. Over 136,000 people call Humboldt county home, including those living on one of the eight Native American reservations, only four other counties (San Diego, CA; Sandoval, NM; Riverside, CA; and Mendocino, CA) have more reservations within their county lines. The largest of the Humboldt County reservations remains the Hoopa Valley Indian Reservation. The most populous city of Humboldt County is Eureka, site of the College of the Redwoods main campus. Humboldt State University is located in the smaller town of Arcata, both Arcata and Eureka are located near Humboldt Bay, California’s second largest natural bay. Whether you enjoy scenic drives or hiking trails, there are plenty of choices in Redwood National and State Parks in the northern part of the county, or along the “Avenue of the Giants” and “Humboldt Redwoods State Park” in the southern region. Humboldt County is a great place for nature lovers to enjoy fishing, kayaking, biking, rafting, or bird watching.